The Department of Justice announced in a letter on Friday that it had ended all activities associated with Operation Choke Point. 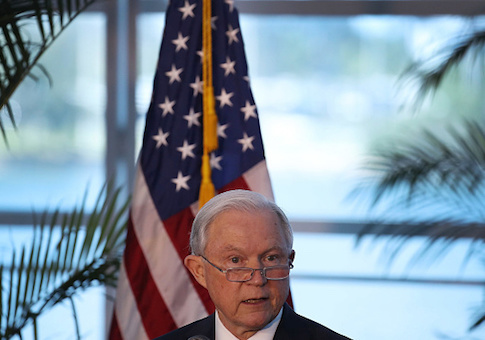 In a written letter to the House Judiciary Committee, Assistant Attorney General Stephen Boyd called the program "a misguided initiative conducted during the previous administration" and promised the DOJ was no longer pursuing it. "All of the Department's bank investigations conducted as part of Operation Choke Point are now over, the initiative is no longer in effect, and it will not be undertaken again," Boyd said. The DOJ went on to say it would no longer engage in investigations motivated by "political preferences" and specifically said it would not target the financial dealings of otherwise lawful members of the short-term lending and firearms industries. "The Department is committed to bringing enforcement actions only where warranted by the facts and the applicable law, without regard to political preferences," Boyd said in the letter. "This approach honors the Department's fundamental obligation to focus on the lawbreakers that deserve our undivided attention, and thereby protect the American public from fraud and other criminal activity. We reiterate that the Department will not discourage the provision of financial services to lawful industries, including businesses engaged in short-term lending and firearms-related activities." House Judiciary Committee chairman Bob Goodlatte (R.,Va.) cheered the DOJ's decision and blamed the Obama administration for creating the program. "We applaud the Trump Justice Department for decisively ending Operation Choke Point," he said. "The Obama administration created this ill-advised program to suffocate legitimate businesses to which it was ideologically opposed by intimidating financial institutions into denying banking services to those businesses. Targeted industries, such as firearms dealers, were presumed guilty by the Obama Justice Department until proven innocent, and many businesses are still facing the repercussions of this misguided program. This is no way for law enforcement to operate and runs counter to principles enshrined in our Constitution." Gun rights activists and those in the financial service industry were equally pleased with the DOJ's announcement. The National Rifle Association credited President Trump with rolling back the program saying it was "the latest in a long line of Trump administration successes in rolling back the failed policies of the Obama administration." They called Operation Choke Point "unconscionable" and said it was aimed at destroying firearms-related businesses. "On behalf of the NRA’s five-million members, I want to thank President Trump and Attorney General Sessions for ending ‘Operation Choke Point,'" Chris Cox, executive director of the National Rifle Association's Institute for Legislative Action, said in a statement. "President Obama's blatant attempt to misuse banking laws to destroy small firearm businesses was unconscionable. We appreciate the Trump administration's commitment to end it once and for all. "The federal government should not be allowed to pick winners and losers in the marketplace." The Community Financial Services Association of America, which was recently granted a discovery request in a lawsuit against the Federal Deposit Insurance Corporation dealing with Operation Choke Point, said the program was illegal, and the DOJ's announcement was a "positive development." However, they cautioned that other federal agencies involved in the program still need to "be fully stopped and held to account" for their actions. "This illegal program has caused tremendous harm over the years to legal and licensed businesses all over the country, including many small businesses who have had to close down after losing their banking relationships," Dennis Shau, the group's CEO, said in a statement. "While the Justice Department’s announcement is a positive development, it is imperative that the federal regulatory agencies—the FDIC, the Office of the Comptroller of the Currency, and the Federal Reserve—whose officials served to implement this illegal program be fully stopped and held to account." "CFSA will continue its ongoing lawsuit to put an end to Operation Choke Point and hold these regulatory agencies accountable. We won't stop until federal regulators cease applying their backroom pressure to legal, licensed businesses and until those who have been wrongly targeted by Operation Choke Point are allowed to reestablish banking relationships."